Today is my mother’s 89th birthday. 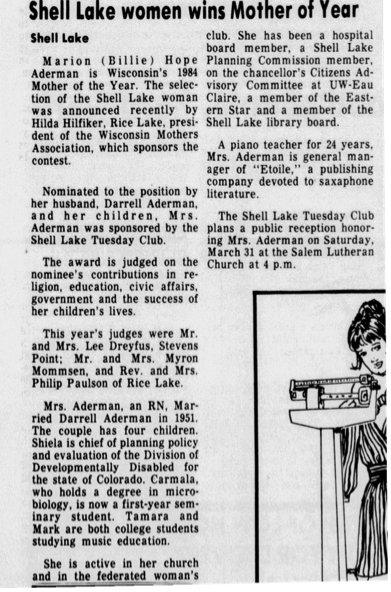 To celebrate her life this year, here is an article from the local newspaper when she was named Wisconsin’ Mother of the Year in 1984. Happy Birthday, Mom. What a great mom! And to have other people recognize her efforts is pretty awesome! A wonderful birthday remembrance! Thanks for sharing it.